Thermal transistor; smart agriculture; electronic skin. In order to avoid heat-induced voids and cracking that can cause chips and circuits to fail, Stanford University and University of California at Davis researchers have developed a way to not only manage heat, but help route it away from delicate devices that leverages a thermal transistor, which is a nanoscale switch that can conduct heat away from electronic components and insulate them against its damaging effects. A new technology aims to protect electronics from heat’s harmful effects. Indeed, researchers have been trying to develop heat switches for years but previous thermal transistors proved too big, too slow and not sensitive enough for practical use. The challenge has been finding a nanoscale technology that could toggle on and off repeatedly, have a large hot-to-cool switching contrast and no moving parts. Aided by electrical engineer Eric Pop and materials scientist Yi Cui, Goodson’s team overcame these obstacles by starting with a thin layer of molybdenum disulfide, a semiconducting crystal that is made up of layered sheets of atoms. Just 10nm thick and effective at room temperatures, this material could be integrated into today’s electronics, a critical factor to making the technology practical, the team asserted. The researchers imagine that eventually, thermal transistors could be arranged in circuits to compute using heat logic, much as semiconductor transistors compute using electricity. But while excited by the potential to control heat at the nanoscale, the team said this technology is comparable to where the first electronic transistors were some 70 years ago, when even the inventors couldn’t fully envision what they had made possible. “For the first time, however, a practical nanoscale thermal transistor is within reach,” Goodson added. Given that more than half of the world’s poorest people live on small farms in rural areas of developing countries, accounting for over 2 billion people living on around two dollars a day, many of the hardships of smallholder farmers are the result of a long list of systemic issues spanning the agricultural supply chain. MIT spinout Ricult is looking to change that. Ricult’s founders say their mobile platform has helped smallholder farmers in Pakistan and Thailand increase their crop yield by 50 percent, on average. 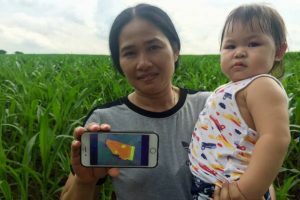 First, they report, farmers cannot secure loans from the bank, forcing them to rely on loan sharks with high lending prices, then once they’ve received the necessary capital, farmers lack information on things like weather forecasts, pest attacks, optimal nutrient application, and current market prices. Finally, during the small window of time they have to sell crops before spoilage, farmers often lack direct access to buyers, forcing them to go through the same exploitive intermediaries who gave them the loan to begin with. According the the company, farmers can use the platform to secure credit, attain inputs such as seeds and fertilizers, monitor weather forecasts, and connect directly with buyers to sell their crops. Further, the platform helps farmers maximize their yields by providing personalized advice for growing crops based on soil tests. While birds are able to naturally perceive the Earth’s magnetic field and use it for orientation, humans have not come close to replicating this feat until now according to researchers at the Helmholtz-Zentrum Dresden-Rossendorf (HZDR) in Germany who have developed an electronic skin (e-skin) with magnetosensitive capabilities, sensitive enough to detect and digitize body motion in the Earth’s magnetic field. No bulky gloves, no sophisticated camera systems – just an ultra-thin golden foil on the middle finger. 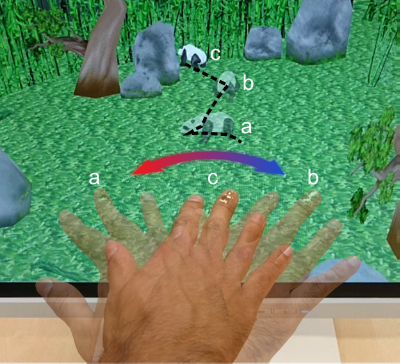 That’s all the Dresden researchers need to control a virtual panda with the help of the Earth’s magnetic field. When the hand swipes left, towards the magnetic north, the animal also moves in that direction (a). A swipe to the right, makes it go the opposite way (b). When the hand moves towards the middle, the panda moves back slightly towards the left (c). 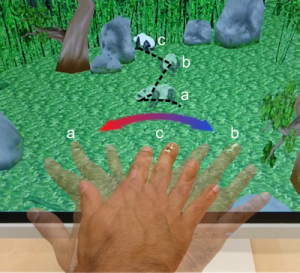 The team said that since this e-skin is extremely thin and malleable, it can easily be affixed to human skin to create a bionic analog of a compass, which may not only help people with orientation issues, but also facilitate interaction with objects in virtual and augmented reality.